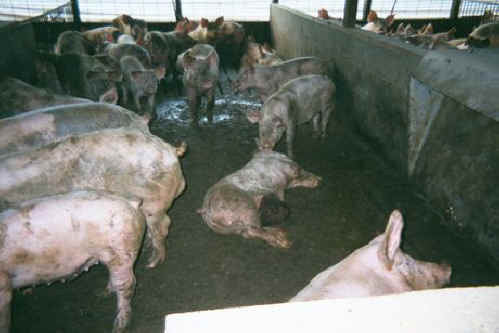 (Pig Exploitation - Factory Farming - 17) One of the pigs in this filthy environment has died, or is near death. Such losses are considered part of doing business at the lowest possible cost. Every time a person eats pork, ham, or bacon, he or she contributes to this depraved indifference to life.